With its origins dating back to the early days of Tokugawa shogunate, the Japanese Yakuza remains one of the most prosperous and probably the world’s wealthiest organized crime group. Today yakuza groups in Japan number over 100,000 members; for comparison’s sake, the number of active personnel serving in the country’s army number nearly 250,000. The largest yakuza syndicate, Yamaguchi-gumi, had an annual income of over $80 billion by 2015. The exact origins of the name ‘yakuza’ remain unclear, though according to the most popular theory, it was derived from the name of a losing hand (8-9-3, ya-ku-za) in the card game Oicho-Kabu – a reference to the outcast status of the group. The origins of the yakuza can be traced to groups known as bakuto (people involved in gambling) and tekiya (street peddlers who often dealt with illicit and stolen goods). A significant portion of Yakuza membership is also comprised of burakumin – people belonging to the Japanese ‘untouchable caste.’ Yakuza groups are well known for their strict discipline, with transgressors often forced to cut off their own fingers to make amends. 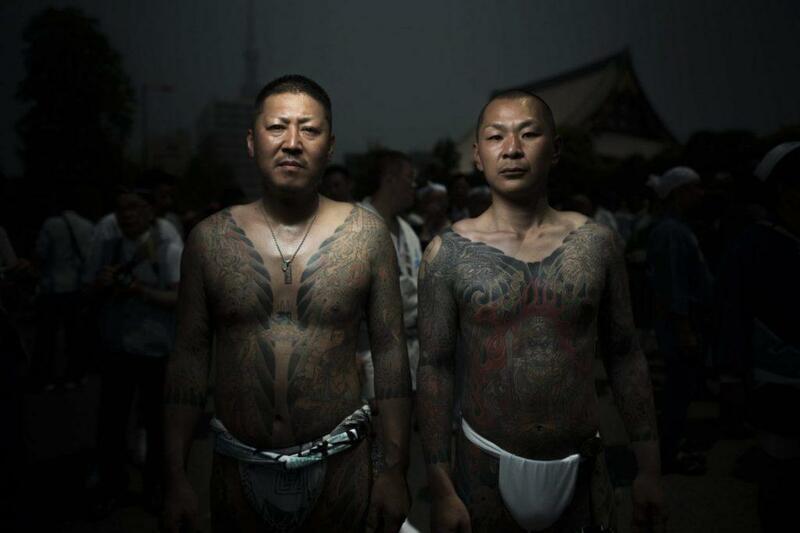 Another distinct feature of Yakuza members is their full-body tattoos (irezumi) which became so firmly associated with yakuza that some Japanese businesses, like public bath houses and hot springs resorts, have started to turn away tattooed patrons. 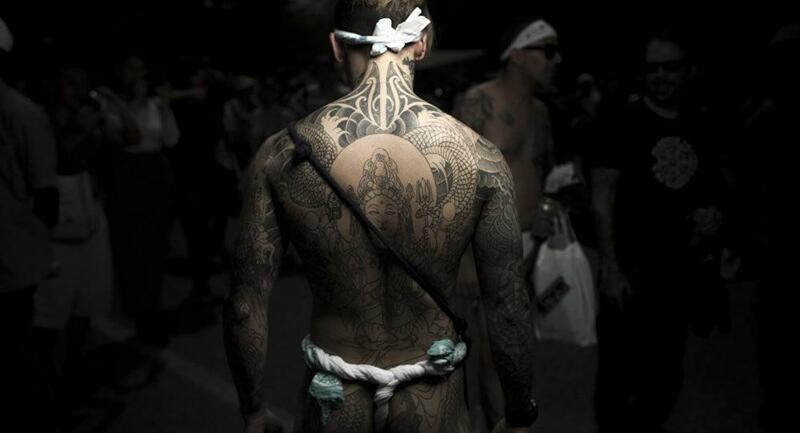 Yakuza groups engage in a wide variety of activities, both legal and illegal. While running drug trafficking and gun smuggling operations, prostitution rings and illegal gambling houses, they also supply manpower to construction crews and mediate disputes. A.C.A.B. is an anti-police acronym. It’s an abbreviation for “All Cop[per]s Are Bastards”. Today, the A.C.A.B. we can find on many walls and slogans in graffiti, tattoo’s and another graphic which has the main goal to show antipathy against law enforcement and police. The first appearing of this acronym in public is in 1977 when a journalist from Newcastle spent the night in prison. He documented A.C.A.B. acronym written on prison walls. He published book “The Dictionary of Catchphrases” where it is written that A.C.A.B. acronym is from early 1970th and can’t be older until full meaning of words coming from 1920. British punk band, the 4.Skins populated acronym A.C.A.B. through their song with the same name during 1980-es. The acronym is often integrated into prison tattoos in the United Kingdom apropos Great Britain. It’s often written on fist, finger by finger, and sometimes like small dots on every finger. In modern politics, all sides using acronym “ACAB” like “All Cops Are Bastards”. It’s most used in the world of football fans worldwide. Using of ACAB, as we mentioned is most popular in the world of sports fans, especially football ones and their ULTRAS culture. It’s not weird to see graffiti, t-shirts, transparent and other equipment of football hooligan “decorated” with these symbols and acronyms. It’s their way to show their anger against police and law enforcement. In past years, publishing of ACAB in public, in many countries was forbidden by law, so the football fans created an alternative. The new synonym 1312 means same as ACAB and that was a way to override laws in some countries. 1312 means that every number is one letter (1312=A.C.A.B., where 1 stands for A, 3 stands for C, 1 stands for A and 2 stands for B what fits the letters from the English alphabet). Today, in most countries in Europe, publishing of these symbols is forbidden by law and punishable as a minor offense because it’s recognized as inappropriate behavior and abetment on riots.